At the heart of his musical impulses, however, Mr Cervini is propelled by a deep regard and respect for Jazz tradition and the masters. In his melodicism one discerns a clear doffing of the proverbial hat to drummers from Big Sid Catlett and Baby Dodds to Papa “Jo” Jones and Max Roach. His polyrhythmic intent that always lurks beneath the surface of his playing stems from deep study of the music of Elvin Jones and modern drummers such as Andrew Cyrille among others. And if any drummer can phrase like a vocalist and respect the silence which comes from an intake of the deepest breath Mr Cervini often gives notice that he is also bringing a certain sensibility that comes from his horn playing. His stick, mallet and brush work with Myriad3 music gives immediate notice of that fact; and so does his drumming on his more traditional-style music. A classic example of this playing is on his performance of “Little Black Bird” – the extended (live) version from There (Anzic Records, 2011) which was captured at (the erstwhile) Cory Weeds’ Cellar Jazz Club in November 2010. The almost minimalist rhythmic architecture of his work is dramatically displayed as he duels with saxophonist Joel Frahm, who injects an almost hypnotic mood to the music as it ascends constantly, eventually finding a mesmerizing resolution like an Escher drawing. Although Mr Cervini classifies his music with the Quartet as “mainstream” he and the rest of the musicians can be heard to constantly push the boundaries of that style. The drummer, whose charts make up the majority of the band’s book, leads the charge with his challenging songwriting. What makes his music eminently treasurable is his refusal to revel in straightforward states of feeling and his craftsman’s pride in making every piece as perfect as it could be. 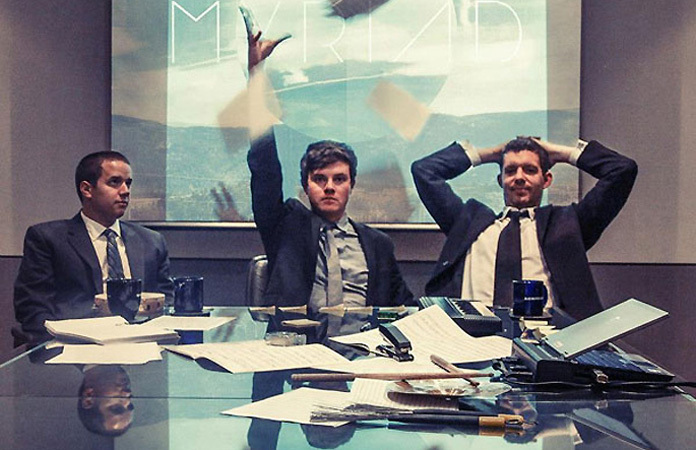 These aspects show an unflinching respect for truth, both musical and emotional. Mr Cervini is a model of what a grown-up composer should be, which is why in an era which prefers quick gratifications his music seems particularly precious. It epitomizes what fine contemporary music stands for and in the world of music and musicians today Mr Cervini is fast albeit surreptitiously securing for a position for himself not only as an multi-instrumentalist, but also a composer and that too one that is born of burning inspiration and daring, something that has also won him respect not only of his contemporaries, but also those who came before him. Curiously those aspects of his prodigious musicianship sustains not only Turboprop and The Quartet, the two ensembles that play written music that is daringly improvised but it is also the foundation (certainly) of Myriad3, a trio dedicated to music that is progressive in thought and uninhibited of spirit. While all three musicians share ideas and are firmly rooted in musical collectivism, Mr Cervini’s work has its own edginess, especially coming from a drummer. There’s no padding or note-filling; everything can be referred back to one germinating motif. 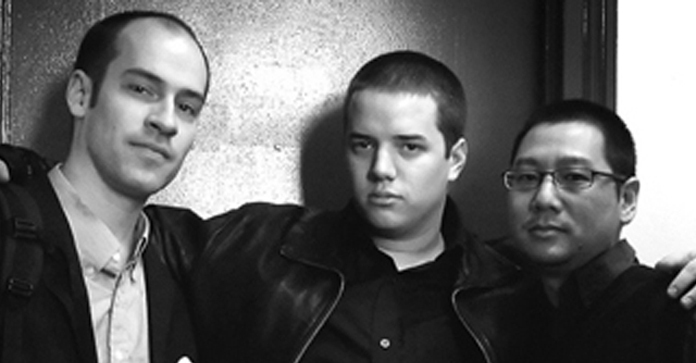 Yet his pieces can be obsessively rooted in intervals, but there is always a wild and provocative rhythmic fluidity that seems to poke the other two members of the trio. Thus a sudden rhythmic ambiguity – a five-quaver beat meter, for instance, can be seen to push against a triple-beat crochet meter when tossed around the trio – can drive the music and make for a truly modern-sounding emotional complexity. And as Mr Cervini matures it becomes loaded with a richness of ideas, invention and feeling with which he seems to have renewed his musicianship even as his music seems to turn ever inward. 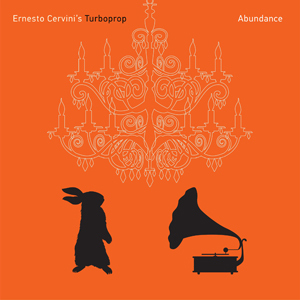 Listening to the work with Myriad3, then, one comes face to face with a masterful anthology of Mr Cervini’s work – both as a composer and a multi-instrumentalist. Just as one hears the unbridled neo-romantic jazz musician in his work with Turboprop, The Quartet and other ventures that he has sustained, there is also a clear sense that he is also fast shedding his inhibitions; breaking down the door that opens out onto the great unknown. 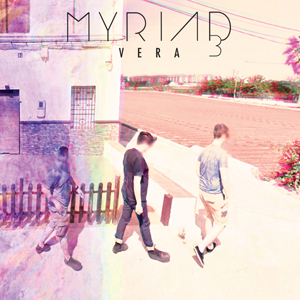 The brilliant Myriad3 album Vera can be seen as a provocative counterpoint to Abundance, the album with Turboprop – both released in 2018. Performances in both are warm, lyrical and alive with ideas. Mr Cervini is on magnificent form on both as he composes and plays with enormous human spirit and boundless energy. The neurons in his brain seem to be bio-chemically more abundant, seemingly propelling his brain patterns to not only process more complex ideas, but also transform them into insightful and intuitive music, all of which is delivered with high-wire energy.